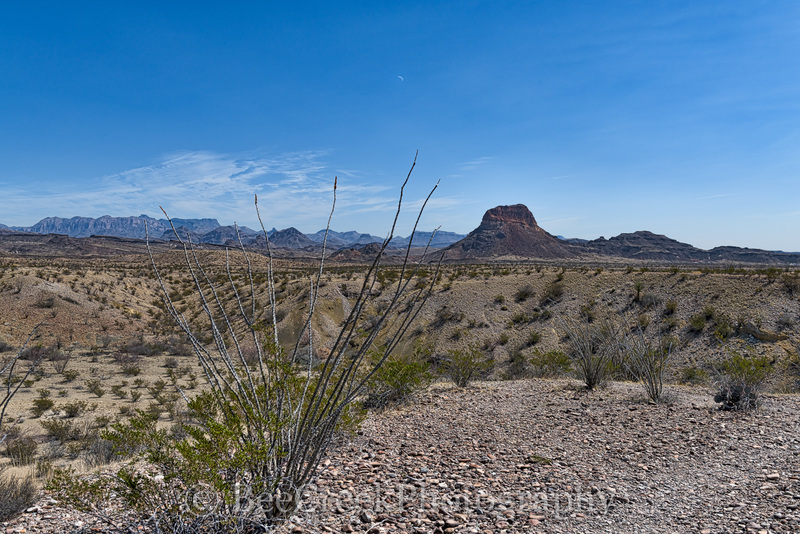 Desert Distant View - Looking out over the distant mountain in Big Bend National Park. We are several miles away from the mountains here which look small but we are almost twenty miles away. A ocotillo grows in the desert area. Photo © copyright by Bee Creek Photography - Tod Grubbs / Cynthia Hestand.